Thinking about this passage, I was amazed how it contained so many components of what it takes to embark on a Christian mission and form a team in order to accomplish that mission. 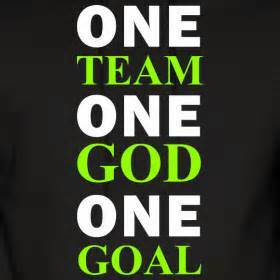 First of all one must answer God’s call to mission and then allow God to form a team to carry on God’s work. God’s work is never done by one person. It requires a team of people, who have faith, are informed and are committed. This is combination is not achieved by human effort. It is of God, by his grace and for his glory. This passage sheds some light on what is required for a successful mission. First, respect. Moses showed respect and humility towards Jethro. Look at verse 18, “Then Moses went back to Jethro his father-in-law and said to him, “Let me return to my own people in Egypt to see if any of them are still alive.” Jethro said, “Go, and I wish you well.” Moses was eighty years old. But he deferred to his father-in-law, asking his permission to leave with his family, from the Desert of Midian back to Egypt. Moses showed respect. This is very necessary to form a Gospel team. If team members do not respect one another then the team cannot stay together. There will be factions and divisions formed. Jesus is the holy God. His disciples were forgiven sinners. But Jesus showed deep respect to them. May God help us to practice respect as we serve the Lord with others. Second, remember the basics of discipleship “Use what you have.” Moses set off on his journey with his family and something else that was of great importance. Look at verse 20, “So Moses took his wife and sons, put them on a donkey and started back to Egypt. And he took the staff of God in his hand.” God is frequently telling Moses to bring his staff. In Exodus 4:1-3, “Moses answered, “What if they do not believe me or listen to me and say, ‘The Lord did not appear to you’?” 2 Then the Lord said to him, “What is that in your hand?” “A staff,” he replied. 3 The Lord said, “Throw it on the ground.” Moses threw it on the ground and it became a snake, and he ran from it.” And also in Exodus 4:17, “ But take this staff in your hand so you can perform the signs with it.” His staff was one of his few possessions. It was not worth much, but it was something he had in his hand. It was his “spit and mud” (John 9). It was his “five loaves and two fish.” (John 6) It was something that God wanted to work through as Moses engaged his faith. As we embark on a gospel mission we need to never let go of the basic principle that God wants to work through what little, humble possessions and abilities we have. It could mean bring your friendly smile or “bring your fishing rod” or bring your faith though it may be as small as a mustard seed. Third, mission is a family affair. Moses brought his wife and his sons. He included his family in this mission. One might be tempted to think that they could do much more work of God if they went unhindered by their family, like Apostle Paul. But God wants to glorify himself through our marriages and our families. When we love one another, as a family, the world is attracted to Jesus in us. If we don’t have it together at home, we will not be very effective on the mission field. God opened so many peoples’ hearts in the North, when the missionaries took their families. Fourth, have an attitude of obedience to God. In this passage God was giving commands and Moses simply obeyed them. Look at verses 19-21, “19 Now the Lord had said to Moses in Midian, “Go back to Egypt, for all those who wanted to kill you are dead.” 20 So Moses took his wife and sons, put them on a donkey and started back to Egypt. And he took the staff of God in his hand. 21 The Lord said to Moses, “When you return to Egypt, see that you perform before Pharaoh all the wonders I have given you the power to do….” (NIV) It is basic, that anyone answering the call of God, must have an attitude of obedience to God. Moses never debated with God. He never made excuses. He never insisted on understanding everything first. He simply obeyed. “So Moses took his wife and sons, put them on a donkey and started back to Egypt. And he took the staff of God in his hand.” (20) An attitude of obedience, inspired by faith, is the mark of any disciple who is on a mission. Fifth, God has power to control peoples’ hearts. Verses 21b, “…But I will harden his heart so that he will not let the people go.” God can work, even in unbelieving peoples’ hearts, like the heart of Pharaoh. God goes on ahead of us, preparing the way by opening (or closing) peoples’ hearts according to his will. Thank God that the mission of God does not depend on our own power of persuasion and personality. If it did I would have very little hope of being use by God. But it is all about Jesus. He is the one blazing the path before us. Sixth, trust in the love of God. God called Israel his firstborn son. Look at verses 22-23a,“Then say to Pharaoh, ‘This is what the Lord says: Israel is my firstborn son, 23 and I told you, “Let my son go, so he may worship me…” The firstborn son has a special place in his father’s heart. God is our heavenly Father. We are his children. The people that we are praying for are also God’s children. He loves all of us with a father’s love. As we embark on our mission, we can rest in our heavenly Father’s unconditional and unfailing love. He is with us and he is upholding us. Rest in that love and find strength in that love. Proclaim that love with great boldness. But the main point is that Moses needed to renew his identity, fully, as one of God’s people. We need to know who we are. God has circumcised our hearts by his Spirit. (Rom 2:29) We are forgiven and redeemed children of God. We are servants of the Lord Jesus. We are Christ’s ambassadors sent on a very important mission, to be witnesses of the resurrected Jesus. (2 Cor 5:20; Acts 1:22) We are called to tell the people that Jesus is the Way and the Truth and the Life (Jn 14:6) and that by believing there is life in his name. (John 20:31) We are Christ’s missionaries on a mission. May God give us grace to hold fast to our identity in Christ. Eighth, God brings team members together. Look at verse 27, “The Lord said to Aaron, “Go into the wilderness to meet Moses.” So he met Moses at the mountain of God and kissed him.” It was God who suggested Aaron. It was God who brought Aaron and Moses together. God brings members of a team together. We can see this when we learn about Jesus calling the twelve. God is gathering members of our team together from so many regions. It is all about God congealing the elements of this mission. He will bring financial supporters and volunteer construction workers, counselors, preachers, Bible teachers, pastors, elders and so on and so on. We might be surprised whom God leads to the team. It could be people whom we never imagined. Ninth, get the main players on board. Moses explained to Aaron about God’s calling. Look at verse 28, “Then Moses told Aaron everything the Lord had sent him to say, and also about all the signs he had commanded him to perform.” Moses fully informed Aaron about what God was doing. He told him what God would have him say. He told him about the signs he was commanded to perform. He was showing Aaron that this whole mission was not of human origin. It was from the Lord. God heard the cries of his people and was planning a great deliverance. God had his hand in this all along. Moses made it, clear to his partner in mission. We need to be able to inform main actors in our mission about what God is doing and keep them on board. Informing others is very important. I thank God that I could be used in a small way to inform others of the latest developments in the mission to the North. Tenth, cast the vision among other key leaders. There are more people to inform than just the people closest to you. There is a larger sphere. Look at verses 29-31, “Moses and Aaron brought together all the elders of the Israelites, 30 and Aaron told them everything the Lord had said to Moses. He also performed the signs before the people, 31 and they believed. And when they heard that the Lord was concerned about them and had seen their misery, they bowed down and worshiped.” Moses and Aaron knew the importance of getting all the elders on board with God’s plan. And so they told of God’s grace and all that God was doing among them. When the elders of Israel heard the great news that God was concerned about them and had sent a deliverer, they believed. They were committed and prayed together. Eleventh, worship the Lord together. They all kept everything in its proper perspective. Look at verse 31b, “…And when they heard that the Lord was concerned about them and had seen their misery, they bowed down and worshiped.” They did not make the mission an idol. They knew that they needed to always have the Lord before them and to worship the one who saves. How easy is it for us to get so wrapped up in the different components of a mission and forget to even pray together. We forget to worship the one who called and is sending us. We must make worship and prayer to Jesus the forefront of any mission and not get lost in the busyness of it all. If we do we will not last very long on the mission field and only become a dry and embittered. But if we regularly bow and worship with all members of the team, we will have a vine and branch relationship with Jesus and bear much fruit to the glory of God. Prayer: Lord, thank you for calling me to serve your awesome mission. Help me work with other members of the team you have formed and learn how to get people on board with what you are doing. One Word: God is building a team to tell the world about Christ. Get on board with the rest of the team!